Identify the urban heat island effect and how light-colored roofing membranes can help mitigate overheated rooftops. Discover how reflective roofs deliver HVAC energy savings in northern climates. Differentiate between TPO/PVC thermoplastic membranes and EPDM thermoset membranes, and discuss the advantages that thermoplastic offers. Explore and analyze the misperception that reflective roofs create condensation issues. Here’s an alarming fact: Planet Earth has warmed 1.26 degrees Fahrenheit in the past century, which is approximately 10 times faster than typical warming rates. But what’s worse is the localized urban heat island (UHI) effect has caused the annual average temperature in a city of a million people to increase between 1.8 and 5.4 degrees Fahrenheit, according to the U.S. Environmental Protection Agency, and this number can jump to as high as 22 degrees Fahrenheit warmer in the evening hours. 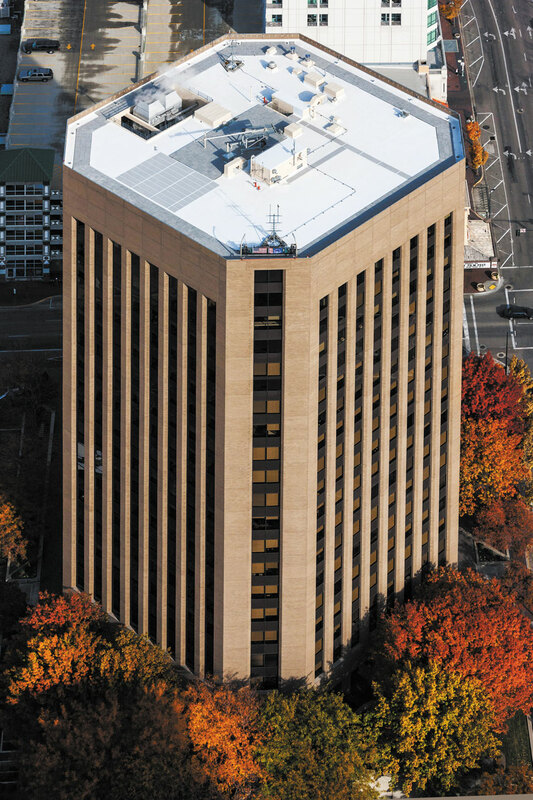 This relective membrane crowning the U.S. Bank building in Boise, Idaho, demonstrates the effectiveness of cool roofs in all climate zones. Defined as a metropolitan area that is significantly warmer than surrounding rural areas due to a concentration of buildings and human activities, the urban heat island effect has taken hold in today’s urban environments, currently populated by more than half of the world’s inhabitants. With an increase in heat waves, periods of abnormally hot weather, and increased health issues—particularly amongst the elderly and those with conditions such as asthma—the UHI threat is real. Fortunately, there are ways to successfully mitigate escalating rooftop heat, directly impacting UHI levels. Selecting light-colored membranes in place of dark roofing not only decreases the UHI impact, but it also increases the reflectivity of sunlight, thus reducing heat within the building and cutting down on energy demand. Conversely, “TPO/PVC roofs are basically reflective rooftops that reflect the sun’s radiations back into the atmosphere and do not allow it to be absorbed by the rooftop, thus inhibiting transfer of energy/heat in the buildings. This keeps the buildings cooler in comparison to conventional roofs,” explains Ashish Sharma, Ph.D., research assistant professor, Department of Civil & Environmental Engineering & Earth Sciences, Notre Dame University, Notre Dame, Indiana. In fact, New York’s White Roof Project calculates that white roofs can save building owners up to 40 percent on their electricity bills. Furthermore, if all urban rooftops worldwide would be converted to white, the planet would save 24 billion metric tons of carbon dioxide. To understand how significant this could be, this value is the equivalent of total world emissions of the greenhouse gas in 2010. As opposed to darker membranes—for example, ethylene propylene diene monomer (EPDM), which absorbs more than 90 percent of the sun’s rays, thereby heating the rooftop to high temperatures and subsequently the building—light-colored membranes only absorb 20 to 25 percent of the sun’s energy. 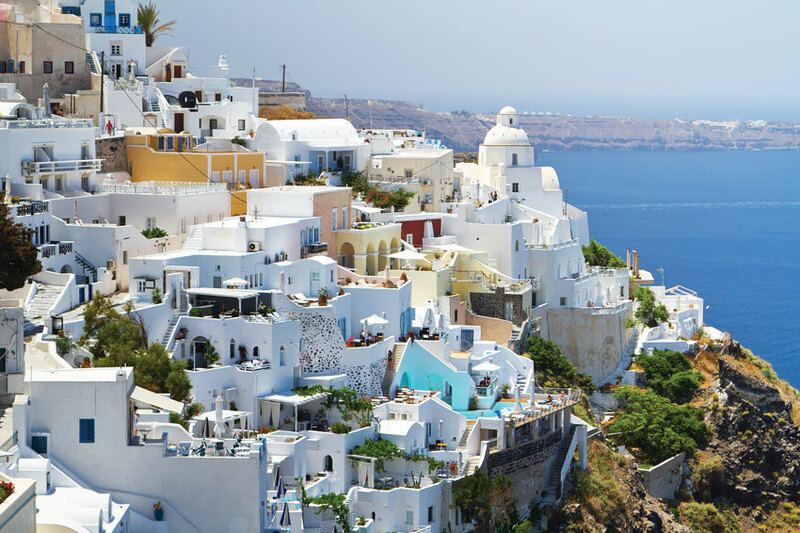 Many cultures, such as Santorini, Greece, understood the importance of building reflectivity as a way of reducing internal temperatures long before the advent of air-conditioning. Converting this into dollars and cents, the study recorded a peak-hour cooling energy savings of 14 percent and overall annual energy savings of 7.2 cents per square foot, which, adjusted for inflation in 2017, would be approximately 10 cents per square foot. In addition to these energy savings, cool roofs are longer lasting and require less maintenance as compared to black roofs which must withstand much higher temperatures. For example, EPDM roof membranes can shrink over time due to the effects of high heat. This shrinkage can lead to failure of the adhesive seams, as they generally don’t perform well after long-term exposure to heat. “Clearly, FEMP should encourage use of cool roofs in new construction and during regularly scheduled reroofing to keep incremental costs down,” states the report. Factoring in more recent data, LBNL estimates that utilizing cool roofing on 80 percent of commercial buildings in the United States would result in 10,400 gigawatt-hours of cooling energy savings and approximately $735 million in annual overall energy savings. In addition, the product lifetime energy savings has a present value of $11 billion. If cool roofing were to be installed in 80 percent of U.S. commercial buildings, 10,400 gigawatt-hours of cooling energy savings could be saved each year, according to the Lawrence Berkeley National Laboratory. LBNL researchers also predict that installing cool pavements and trees across 30 percent of the Los Angeles basin surface could decrease local temperatures by as much as 5 degrees Fahrenheit. 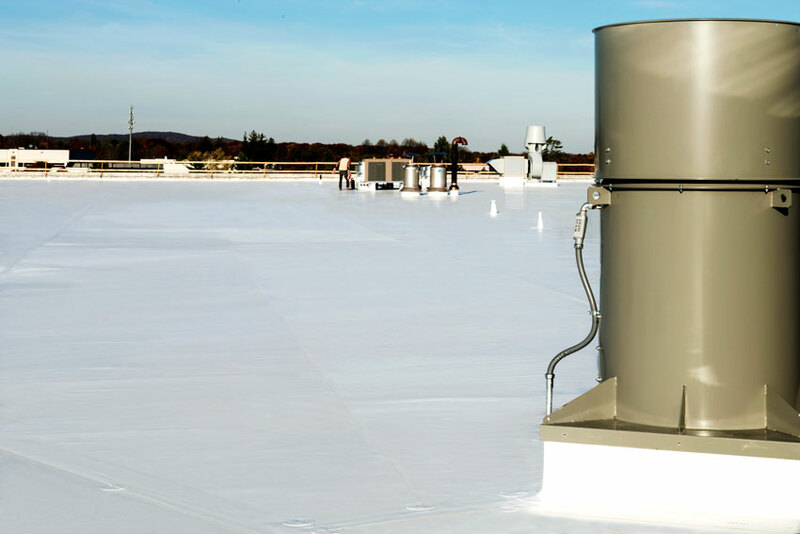 With a lowered ambient temperature, the area’s annual building cooling savings could be as high as 50 percent by simply installing cool roofs. In yet another noted study, this one by the Oak Ridge National Laboratory, researchers estimated how much insulation would have to be added to dark roofs in order to achieve the same energy savings of cool roofs. They concluded that an average R-9 value in insulation would be required to enable dark-colored membranes to deliver the same cooling cost savings as reflective roofs.